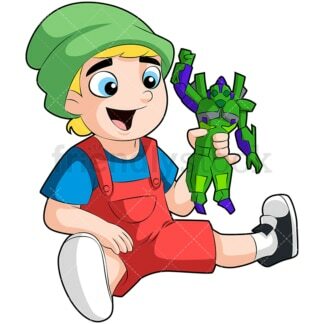 Royalty-free stock illustration of a wide-eyed little blonde boy sitting on the floor holding up a green and purple monster toy. He’s got a huge smile and is having a great time. Royalty-free stock illustration of a smiling young boy in a green baseball cap and orange t-shirt, playing with race cars on a table. 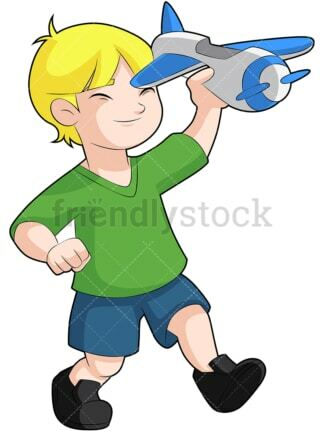 Royalty-free stock illustration of a happy young blonde boy playing with a toy airplane. He’s holding the plane above his head while walking and smiling with his eyes closed. 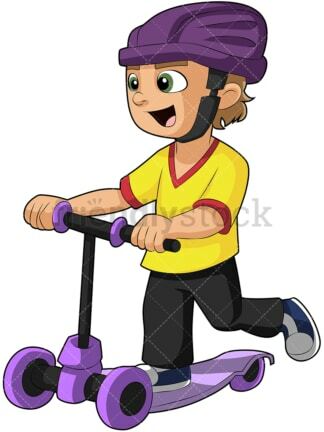 Royalty-free stock illustration of a joyful little boy riding a purple scooter with a matching helmet. He’s wearing a big smile as he pushes himself further along! Royalty-free stock illustration of a cute red-haired boy playing with a big blue water gun. 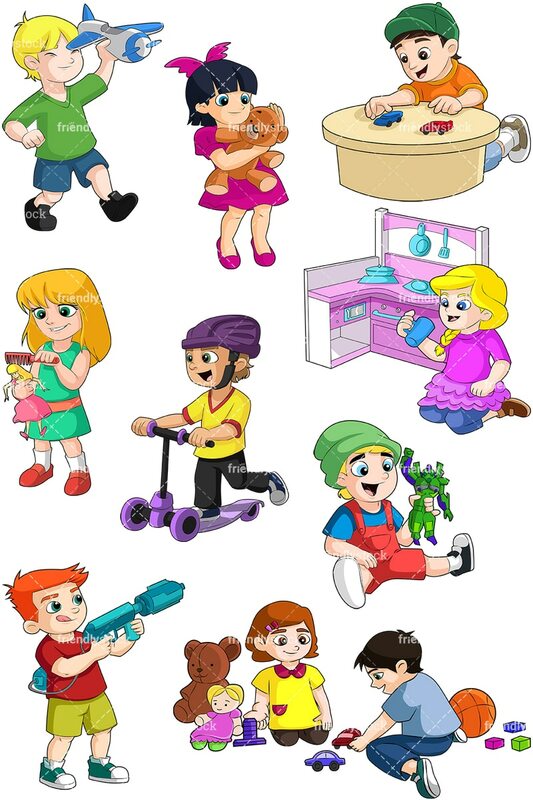 Royalty-free stock illustration of a little boy and girl sharing toys and playing nicely together. He is showing her his race cars as her teddy bear sites nearby. 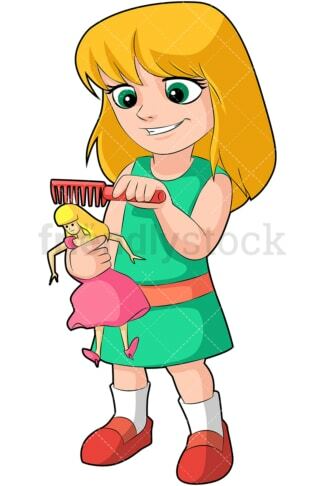 Royalty-free stock illustration of a little blonde girl combing her doll’s hair while smiling. She’s standing up and wearing a pretty green dress. Royalty-free stock illustration of a little black-haired girl in a pink dress standing up while hugging a teddy bear. She’s taking good care of him! Royalty-free stock illustration of a blonde-haired little girl in blue jeans playing with a toy kitchen set. She’s kneeling on the ground and holding up a toy kitchen cup.